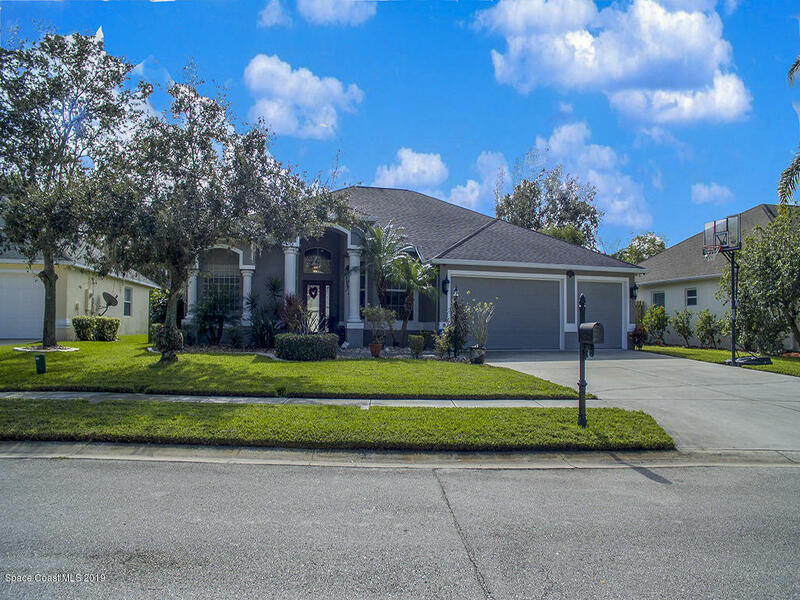 Extremely well maintained 4 bedroom 3 bath pool home with over 2400 square feet of living space located in the gated community of Woodfield at Heritage Oaks. Home features: Brazilian Cherry Wood floors, custom carpentry through-out that includes wainscoting, tall base, crown trim and cornices above all windows and grand sliders, luxury granite countertops throughout, formal living and dining room, den, stunning kitchen boasts all wood cabinets, stainless steel appliances, breakfast bar, eat in kitchen, master bath has new tile, cabinets, granite and chandelier, master closet with custom built in California Closet and so much more. Step outside to your screened in patio and pool area with paddle fans and amazing Alfresco kitchen. All located close to A-rated schools, shopping & restaurants.